International Journal of Research in Health Sciences,2015,3,2,256-266. 1– MD (Radiodiagnosis), Professor and Head; 2 – MBBS, JR-III (Dept. of Radiodiagnosis); 3–MD (Radiodiagnosis), Senior Resident, Department of Radiodiagnosis, Shri Ram Murti Smarak Institute of Medical Sciences, Bareilly, Uttar Pradesh, INDIA. Background: Epilepsy is a common neurological disorder present in developed and developing countries. Its incidence is estimated at approximately 27.3 /1 lakh population in India and proposes a serious health problem in both rural and urban population. Diagnosis of cause of epilepsy is integral to the treatment especially in developing country like India where infectious causes lead the way and present as a curable cause of epilepsy. This study was undertaken to find the common causes of epilepsy in Indian population using 3-Tesla Magnetic Resonance Imaging (MRI). Materials and Methods: 150 patients of all age groups and both sexes with clinical diagnosis of epilepsy presenting were evaluated by a dedicated epilepsy protocol using 3 Tesla MRI through both traditional and advanced techniques to find out the common causes of epilepsy. Results: 97 male and 53 female patients were evaluated with most number of patients in the age group of 11-20 years. Granulomatous diseases formed the main pathological group with 78 (52%) patients followed by mesial temporal sclerosis, developmental malformations and tumors & tumor like conditions with 17 (11.33%), 9 (6%) and 9(6%) patients respectively. 32 (21.33%) patients had normal MR scans. 1 (0.67%) case of vascular malformations and 4 (2.67%) cases of gliosis/ encephalomalacia & periventricular leukomalacia were also diagnosed. 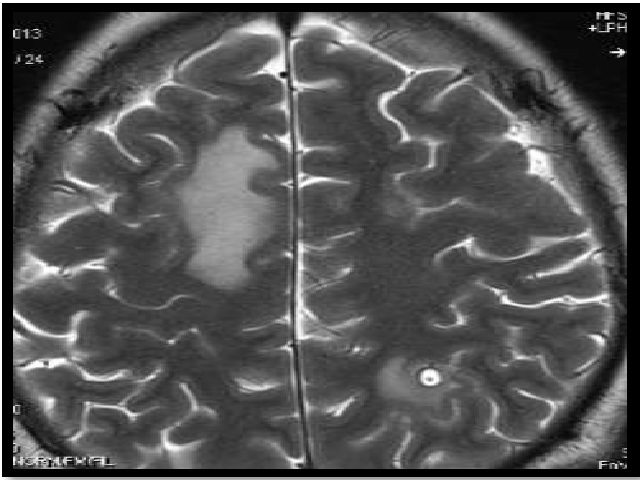 Conclusion: 3 Tesla MRI provides a highly reliable method of diagnosing and following up the various causes of epilepsy using a dedicated epilepsy protocol.